Parkside-Located in the middle of sixth street! This place is moderately priced and serves solid food. 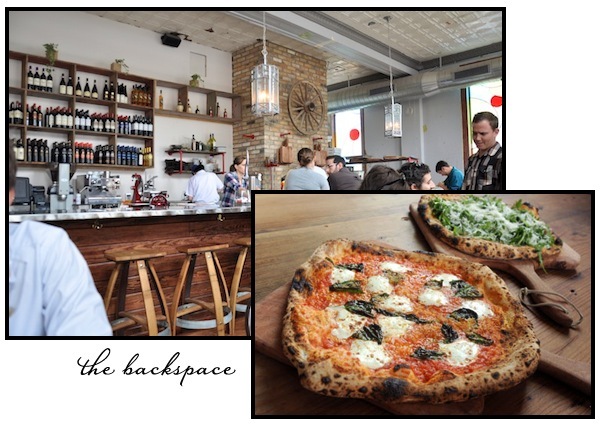 I will focus my review on its sister restaurant, Backspace, because it is amazing. Backspace-I think this maybe my favorite restaurant in Austin because it reminds me of New York. I have a hard time going to a restaurant twice when there are so many restaurants I want to try. However, I have been to this restaurant 5 times since living in Austin. This restaurant is located right behind Parkside. It is still relatively unknown because there is no sign and little advertisement. Their menu is small which is nice because they really have perfected everything on the menu. Wood-fired pizzas are their specialty and you can't go wrong with any of these pizzas. Their extensive wine list will not disappoint you either! This place is tiny with only 20 seats so plan on waiting for a table or call ahead if you have a large party of 6 or more. Justine's-My husband and I love this restaurant. It is on the east side in a very unassuming location. We like to say it is a diamond in the rough. The atmosphere makes this place cool. It is always crowded with locals and is one of the few places in Austin that has great French food. Second Bar+Kitchen-This place is very trendy and a place to be seen. The food stands up to the large crowds this place draws. I have been here several times and I always try to get something different. I think their fries with truffle sauce were the highlight of my last meal. I also love their fresh, wood-fired pizzas and short ribs. This place does not take reservations so either go early or plan on waiting 1-2 hours. We got drinks and appetizers at Bar Congress while we waited which made the time fly. Enoteca/Vespaio-Both of these restaurants are connected together and great if you are in the mood for Italian. Vespaio is the fancier version of Inoteca. They are located on South Congress which is always a fun area to grab dinner and walk around. You will definitely not leave here hungry.The menus are a little different but all of the food comes from the same kitchen. This is where my husband introduced me to Linguini del Mare and I have been a fan ever since. La Traviata-I would not classify this restaurant as trendy. However, it is a place that serves solid Italian food in a great location. This place has been around forever and is on Congress close to sixth street. Their mussels are some of my favorite! I recommend getting a reservation if you want to go on the weekend. East Side Showroom-This restaurant is super cool. It is also on the east side. This restaurant is how I want to decorate my house one day. They took a junky space and transformed into a romantic and inviting space that still keeps its original charm. The lighting is amazing! Be mindful that this place is expensive if you want to have the true dining experience. We tried a few of their inventive drinks on their cocktail list and will definitely be back to try more! The food was just as creative as the drinks and they try to use all local ingredients! Perla's-This place has awesome seafood. I don't think there is anything bad on the menu. It is a very casual place on South Congress. Beware the service is hit or miss. Make a reservation if you want to sit inside in the air conditioning. Uchiko-I am prematurely putting Uchiko on my list of favorite restaurants. I am going there tonight so I will give you an official review tomorrow. It is one of the newer restaurants to the Austin dining scene. This place is all the rage right now because their chef, Tyson Cole, just got the James Beard award. It is less expensive than its sister restaurant Uchi. 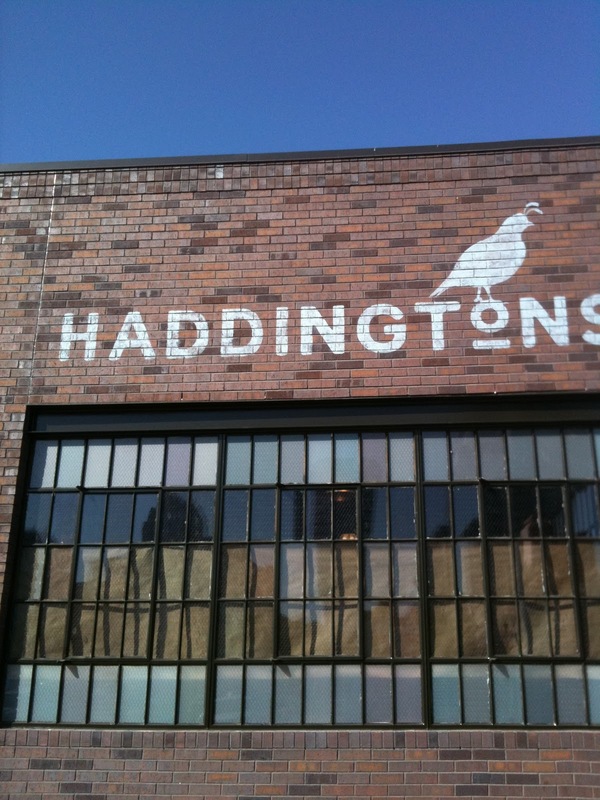 Haddingtons- This place almost made the cut of my favorite Austin restaurants. It is classified under the gastropub genre. Last time I went there they took my favorite entree off their menu hence why it is not on my favorite list anymore. Our waitress assured me though that their WHOLE STUFFED TROUT will be back on the menu in the fall and winter. The trout is stuffed with fresh bread crumbs that are soaked in a butter sauce. I do not know how to describe it any better other than to say it is heaven and you have to try it. Just call ahead to make sure it is on the menu since the menu changes seasonally. The side dishes are equally amazing. Fabi+Rosi-This precious restaurant is located in a house in Deep Eddy. The prices are reasonable and the quality of food is superb. To my surprise this place was not that crowded for a Saturday night which is why I was hesitant to put this as my favorite restaurant. I think ambience is important and although this place is charming, I would have liked to seen more people there on a Saturday night. The mussels were delightful as well as their rockfish! Wink- My husband and I went to happy hour from 5-7 in the wine bar and ended up eating dinner here instead of the main restaurant. We actually liked this experience more because got to talk at length with our server. The highlights of our meal were the macaroni and cheese and mussels! We tried the small portion of sweetbreads (thymus gland-ew!) and we decided it is not our thing. 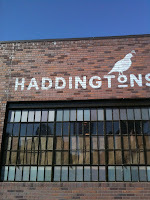 However, they tell us that if you want to try sweetbreads this is the place to do it. This place is expensive. In order to off set the costs I bought a restaurant.com gift certificate for $3 which was good for $25 off our meal. Stay tuned for my favorite BBQ and mexican restaurants as well as bars and brunches. There were just too many places name in this one post! Places I can't wait to try in the upcoming weeks that also have great reviews are Congress, Barley Swine, Jack Allen's Kitchen, and Foreign & Domestic.